One of my favorite parts of homeschooling is planning and organizing. I like teaching my kids too, of course (usually, hahaha). But planning is something I have always loved and each year I spend way too long trying to pick the perfect planner. About this time of year I am usually purchasing curriculum for the next school year and that always makes me want to start my planning! Well, my timing is perfect because the Hey Mama! 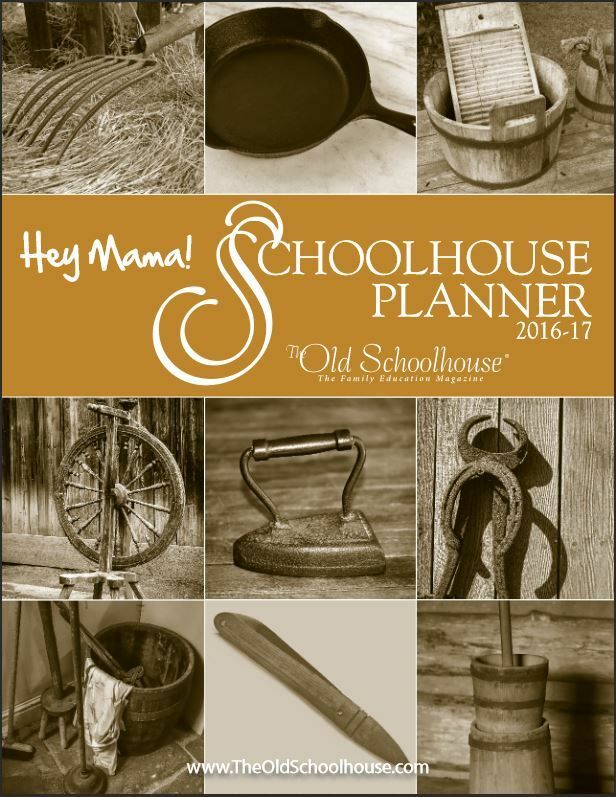 Print Schoolhouse Planner 2016-2017 from The Old Schoolhouse has just been released! What more could a homeschool mom ask for? 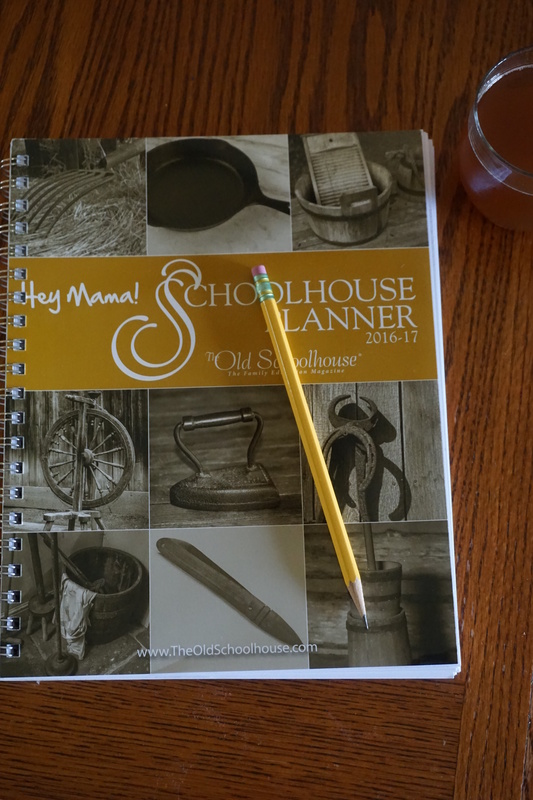 A planner, a sharp pencil, and a glass of iced tea!! Maybe some peace and quiet to do her planning, but let’s not push it. 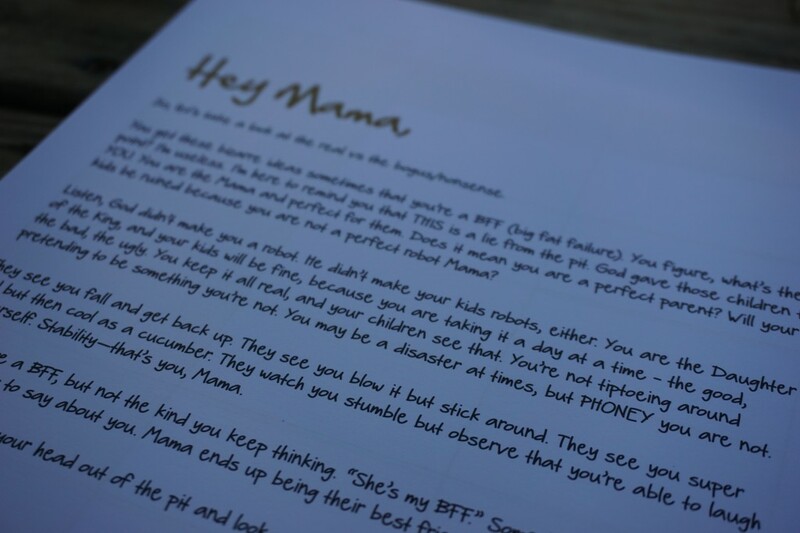 So, what does the Hey Mama! Planner have to offer? Well, calendars of course. The first few pages offer a year-at-a-glance on a page for 2016, 2017, and 2018. I like to use those little calendars to plan out our school calendar of days on and off. After that there are monthly calendars with a page for notes, as well as a Hey Mama! letter for each month. The monthly calendars are the perfect size. The little boxes have just the right amount of room. I have just started to fill in the month of July here, but you can get the idea of the amount of space you get. Each month also has a full page for notes. Since we take the summer off I am using July and August for planning. So, on this particular page I am planning out some of the books that Hailey and I will be reading during the school year. This is an example of a Hey Mama! letter. Each month comes with one of these letters from Gene Suarez, publisher of The Old Schoolhouse Magazine. Her letters are full of encouragement and just the right words to help you get through. 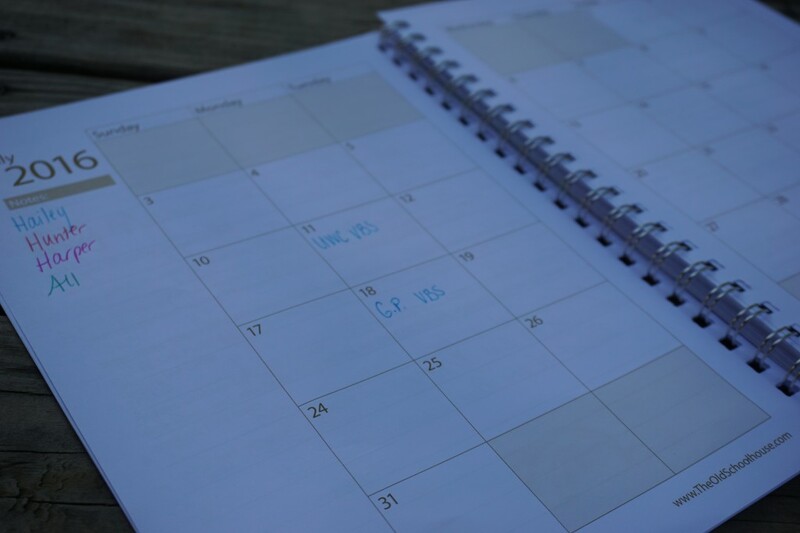 After the monthly calendars, which goes from July 2016-June 2017, there are pages for your weekly plans. 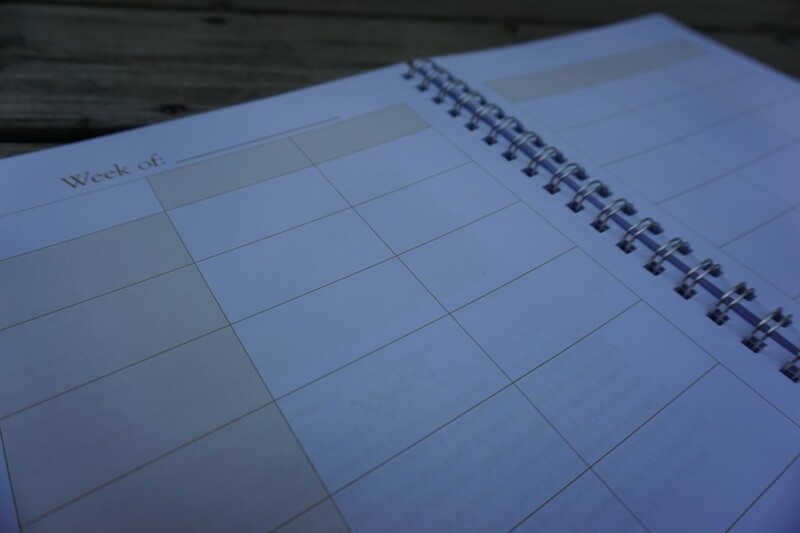 There are so many ways you can use these weekly planning pages. There are 7 rows down the left hand side of the page, and 5 columns across the top. The possibilities are endless as to how you might want to use your boxes. Mixed within the planning page are more Hey Mama! letters of encouragement as well as some interesting tidbits of information. 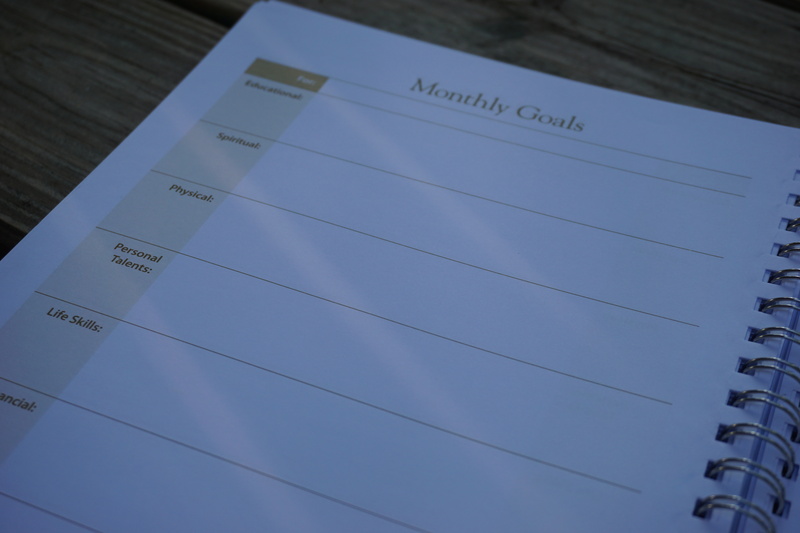 Next up you’ll find a place for your monthly goals, semester goals, and yearly goals. 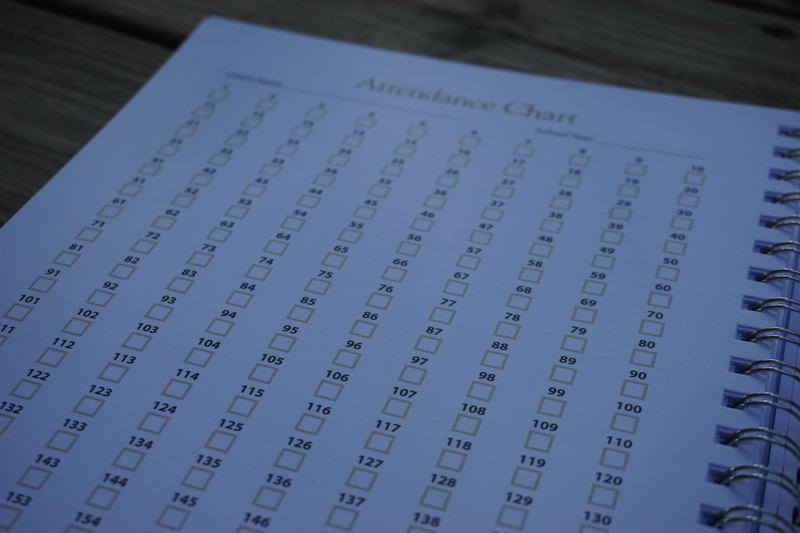 There are attendance charts with 180 days to check off. 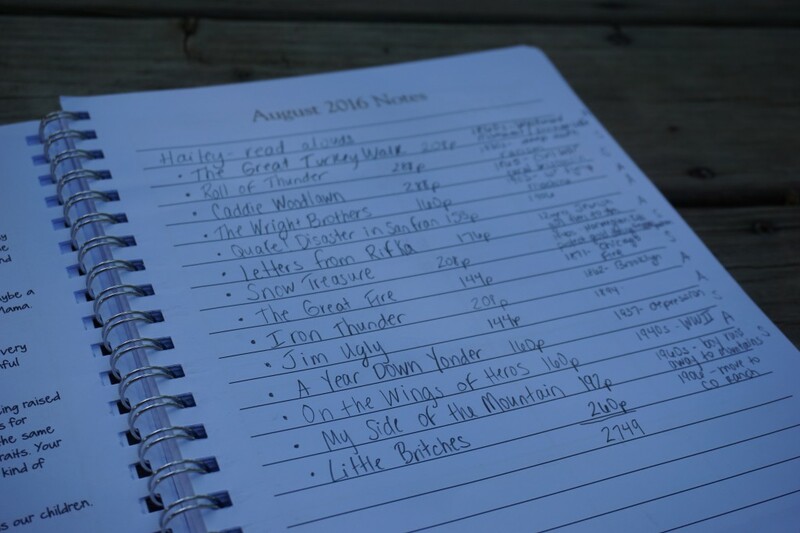 Then there are pages for keeping track of the books you read during the school year as well as a place to plan out your curriculum. Since I am in planning mode I filled in some of the curriculum I know we are going to use. 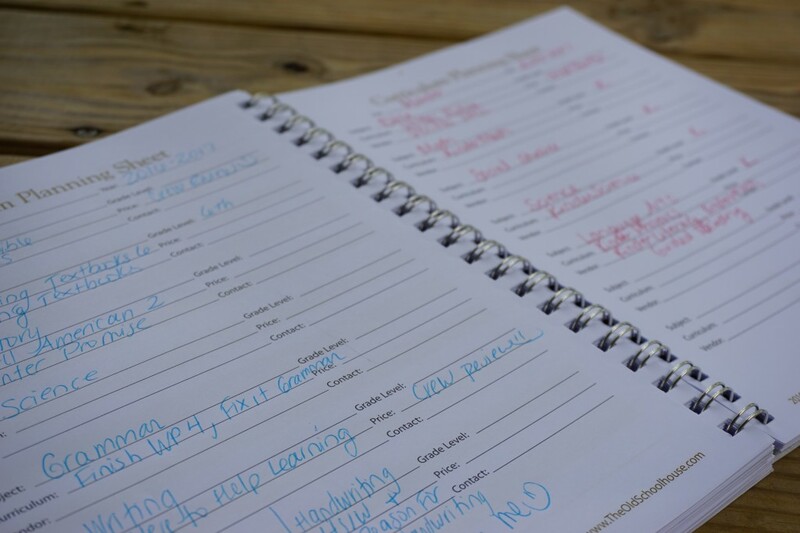 After that there is a page to keep track of your homeschool contacts. Then there are several pages of interesting information and ideas, such as writing prompts, story starters, US presidents and their wives, branches of government, and so much more! 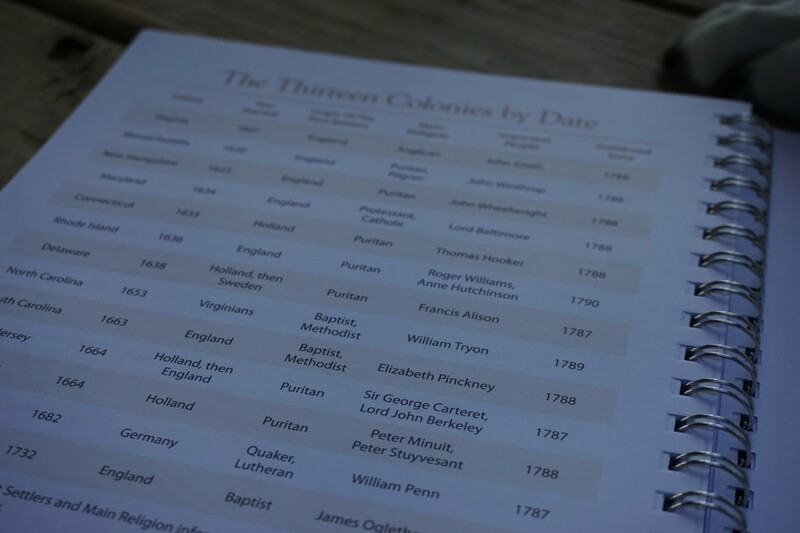 This page has the 13 colonies listed by date. After that there are some other checklists as well as a place for academic transcripts. So, pretty much if it’s something you need to have in a planner, it’s been included! 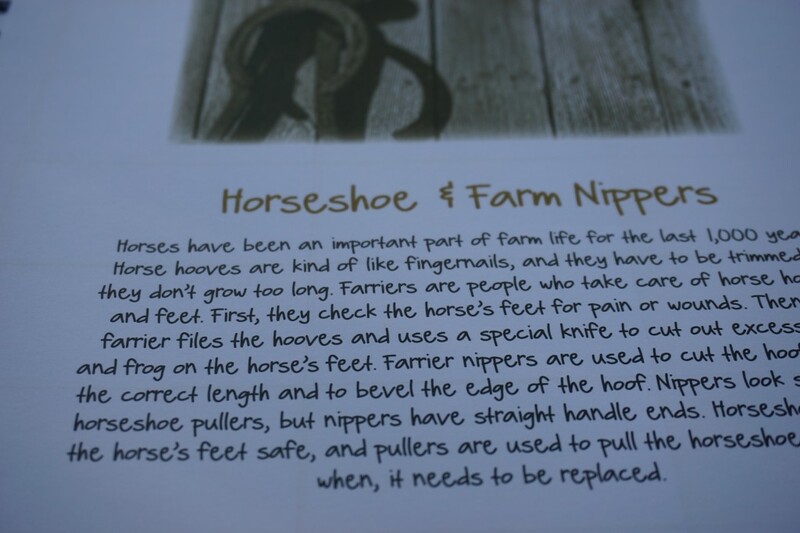 The pages are wire bound- the book can lay flat or be folded back without any problems. It can be used for up to 5 children. Since we are finishing up our school year and not starting back up until September I am not using the actual planning pages yet. But, I set up a page with how I plan to use it in the fall. Across the top I put the days of the week. Down the left side I wrote in the subjects we are covering. Then, I picked a pen color for each child. In the subject boxes I put a little dot with each child’s color. Next to that dot I will write in the plans for that child. 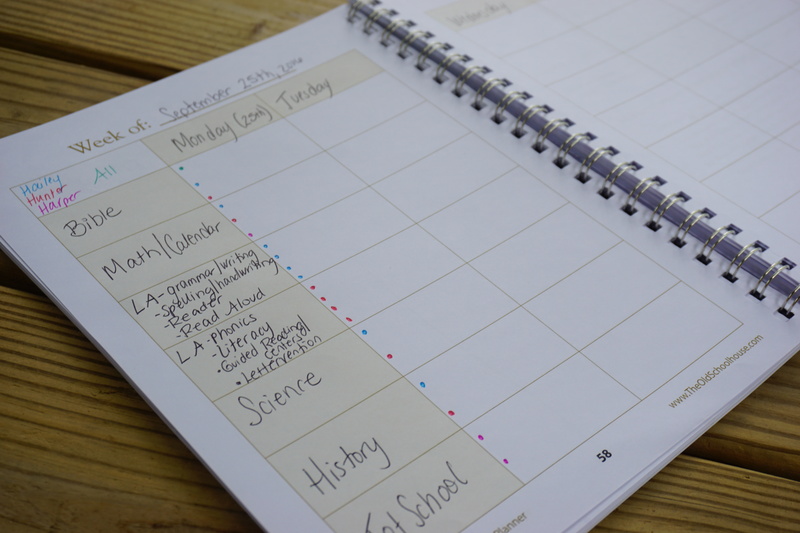 I have to write my plans in pencil because I like to be able to make changes, so the little dots will be how I keep track of who is doing what. I love, love, love this Hey Mama! 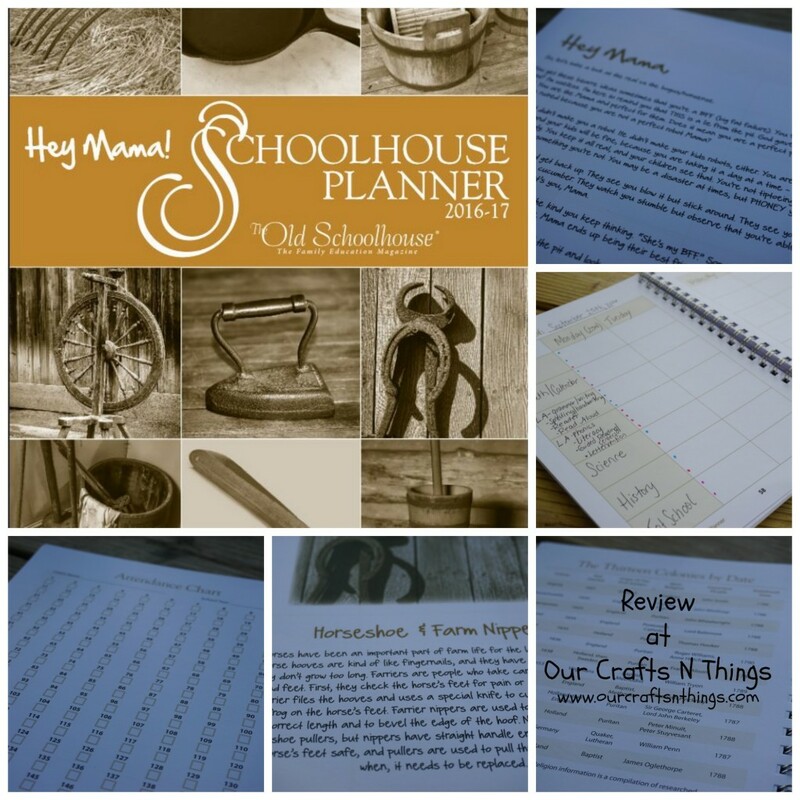 Schoolhouse Planner! I think it is almost perfect. The only thing I don’t like is that it only has 36 weekly planning pages. Now, I know most people do school for 36 weeks, but if you have more than 36 weeks of school you will run out of pages. It is okay to copy the planning pages if you need more, but I still wish there were more planning pages included. If you are in planning mode like me, or will be soon, then I have a great coupon code for you! 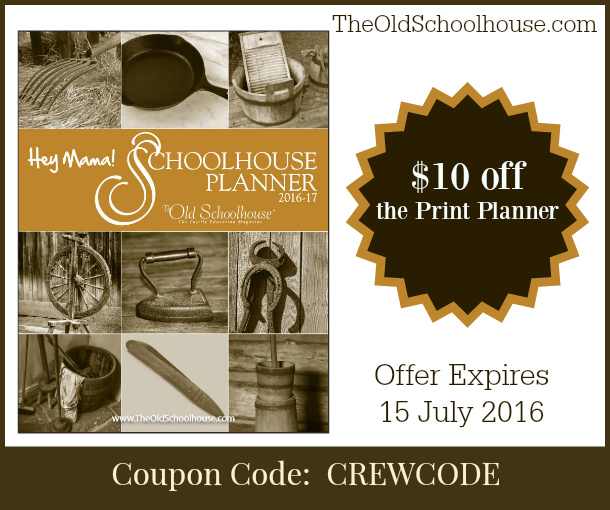 This is a great coupon, so hurry on over and order your planner soon!